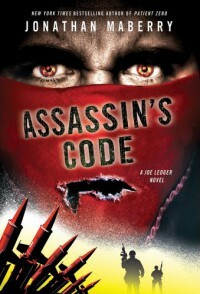 First, Jonathan Maberry makes zombies eerily believable in modern day society with Patient Zero and now, he successfully takes on vampires in Assassin's Code. Each book gets better and better, and for me, this nudged out Dragon Factory as my favorite of the series. The addition of Ghost brings a whole new vulnerability to Joe Ledger and in this installment, the four-legged sidekick shines! Need to linger in the after bliss of this one for a little longer before picking up Extinction Machine, the next book in the Joe Ledger series.